I am pleased to announce that I am a part of the the Scrap-N-Pieces Spring Into Color Blog Train! 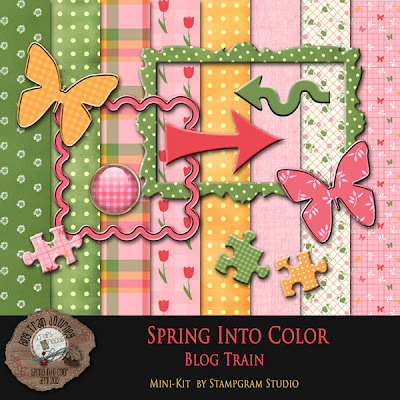 The colors in this Blog Train just say SPRING! they are so bright and cheery. There are so many wonderful parts to this train that I know you are going to want to grab them all. So without further ado here is mine. The rest of the train is posted below. Remember we are all in different time zones so some may be posted a bit sooner or later than others. Enjoy and don't forget to leave some love along the way! Thanks so much for the work you put into the blog train. So cute- the puzzle pieces are especially adorable! Thank you! Thank you for sharing your lovely kit!! Thank you so much for sharing your kit. I love the puzzle pieces, especially. So Cool!! I didn't know you were doing this! sweet kit. thanks! Thank you for this sweet mini! Especially love those puzzle pieces! Thank you so much for this post. 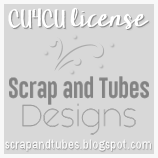 I want to let you know that I posted a link to your blog in CBH Digital Scrapbooking Freebies (please, notice the new url for my blog), under the Page 8 post on May. 25, 2012. Thanks again.